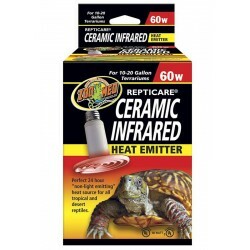 ReptiCare® Ceramic Heat Emitters are the perfect 24 hour heat source for all reptiles. 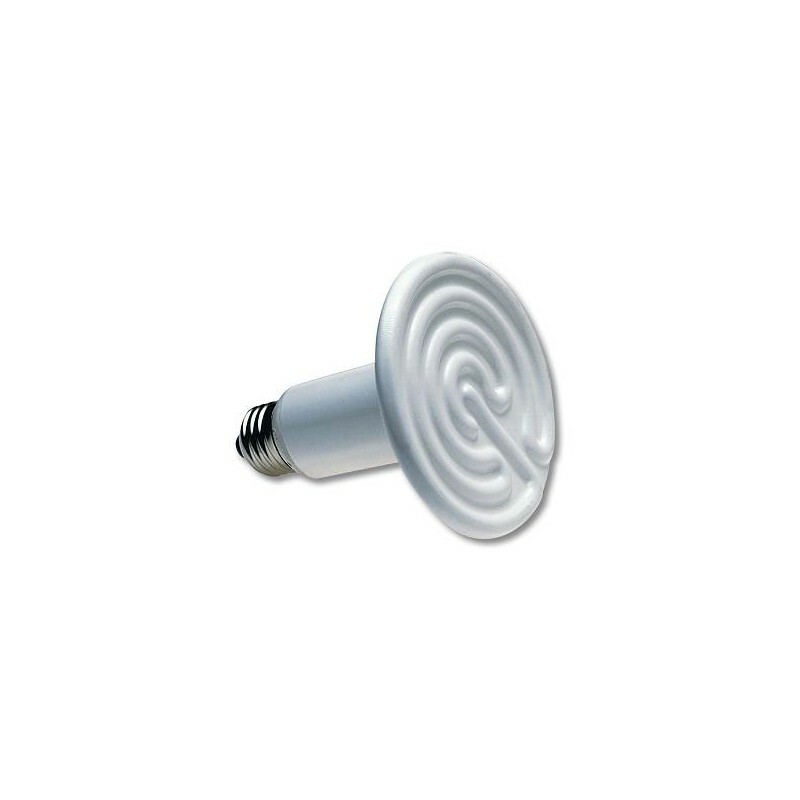 These porcelain heating devices screw into a standard porcelain incandescent socket, giving off intense "muscle-penetrating" infrared heat, while emitting no light. ReptiCare® Ceramic Heat Emitters are the perfect 24 hour heat source for all reptiles. 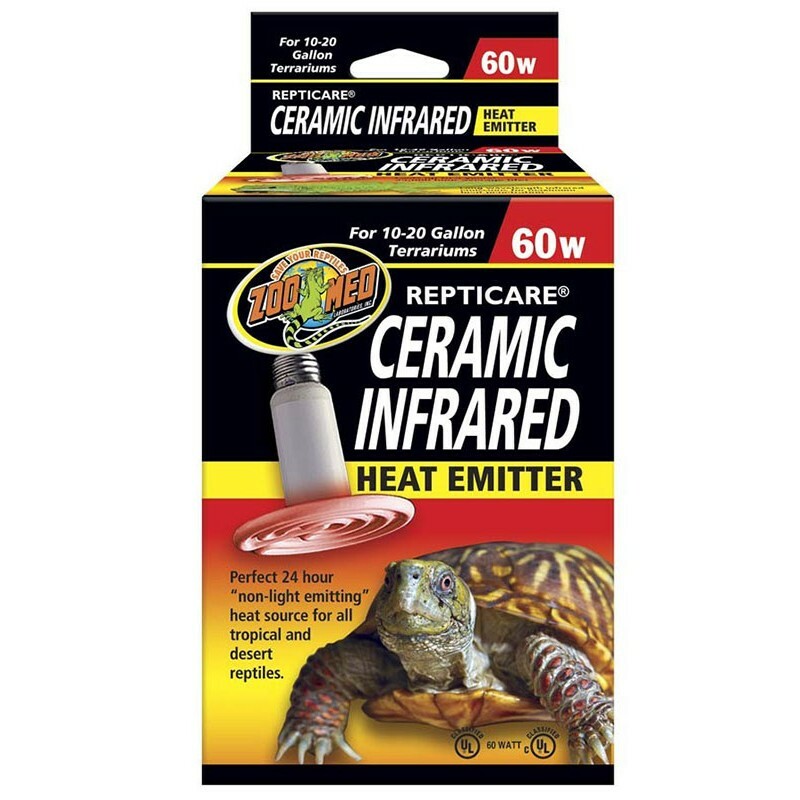 These porcelain heating devices screw into a standard porcelain incandescent socket, giving off intense "muscle-penetrating" infrared heat, while emitting no light. The flat-faced design is more efficient and longer lasting than conical designs which build up excess heat internally, ultimately carbonizing the element. UL/cUL classified when used in conjunction with Zoo Med's Wire Cage Clamp Lamp (LF-10).